Henry County complies with the Virginia Freedom of Information Act. There is no separate county policy that addresses FOIA. You may request records by U.S. Mail, fax, e-mail, in person, or over the phone. FOIA does not require that your request be in writing, nor do you need to specifically state that you are requesting records under FOIA. However, you must provide your name and legal address. It is recommended that prior to submitting a FOIA request for records you should review the remainder of the County's website and to use the site's search function. In many instances, the requester may find the information or records that he or she is looking for online. Your request must identify the records you are seeking with "reasonable specificity." It does not refer to or limit the volume or number of records that you are requesting; instead, it requires that you be specific enough so that Henry County can identify and locate the records that you are seeking. Your request must ask for existing records or documents. FOIA gives you a right to inspect or copy records; it does not apply to a situation where you are asking general questions about the work of Henry County, nor does it require Henry County to create a record that does not exist. If Henry County has questions about your request, please cooperate with staff's efforts to clarify the type of records that you are seeking, or to attempt to reach a reasonable agreement about a response to a large request. Making a FOIA request is not an adversarial process, but Henry County may need to discuss your request with you to ensure that we understand what records you are seeking. To request records from Henry County, you may direct your request to Michelle Via. She can be reached by mail at: P.O. Box 7, Collinsville, VA 24078, by email at: mvia@co.henry.va.us, or by telephone at (276) 634-2581. You may also contact her with questions you have concerning requesting records from Henry County. In addition, the Freedom of Information Advisory Council is available to answer any questions you may have about FOIA. The Council may be contacted by e-mail at foiacouncil@dls.virginia.gov, or by phone at (804) 225-3056 or [toll free] 1-866-448-4100. Henry County will respond to your request within five working days of receiving it. "Day One" is considered the day after your request is received. The five-day period does not include weekends or holidays. The reason behind your request for public records from Henry County is irrelevant, and you do not have to state why you want the records before responding to your request. Withhold all of the records that you have requested, because all of the records are subject to a specific statutory exemption. If all of the records are being withheld, Henry County will send you a response identifying the volume and subject matter of the records being withheld, and state the specific section of the Code of Virginia that allows us to withhold the records. Provide some of the records that you have requested, but withhold other records. Henry County cannot withhold an entire record if only a portion of it is subject to an exemption. In that instance, we may redact the portion of the record that may be withheld, and will provide you with the remainder of the record. Henry County will provide you with a response stating the specific section of the Code of Virginia that allows portions of the requested records to be withheld. Inform you in writing that the requested records cannot be found or do not exist (we do not have the records you want). However, if we know that another public body has the requested records, Henry County will include contact information for the other public body in our response to you. If it is not practical for Henry County to respond to your request within the five-day period, we will notify you and explain the conditions that make the response not practical. This will allow seven additional working days to respond to your request, giving a total of 12 working days to respond to your request. If you make a request for a very large number of records, and the records cannot be provided to you within 12 working days without disrupting other organizational responsibilities, Henry County may petition the court for additional time to respond to your request. However, Henry County will make a reasonable effort to reach an agreement with you concerning the production of the records before we go to court to ask for more time. You may have to pay for the records that you request from Henry County. FOIA allows us to charge for the actual costs of responding to FOIA requests. This would include items such as staff time spent searching for the requested records, copying costs, or any other costs directly related to supplying the requested records. It will not include general overhead costs. If the cost is expected to exceed $200, HenryCounty may require you to pay a deposit, not to exceed the amount of the estimate, before proceeding with your request. The five days that we have to respond to your request does not include the time between when we ask for a deposit and when you respond. 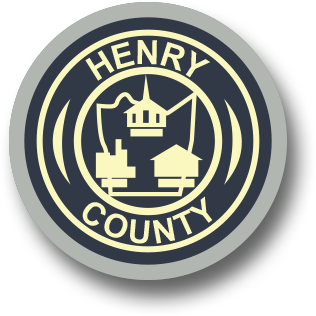 You may request that Henry County estimate in advance the charges for supplying the records that you have requested. This will allow you to know about any costs upfront, or give you the opportunity to modify your request in an attempt to lower the estimated costs. If you owe Henry County money from a previous FOIA request that has remained unpaid for more than 30 days, Henry County may require payment of the past-due bill before it will respond to your new FOIA request.